Here's an interesting circular/cylindrical building with all glass walls. Not sure what this was in the past. 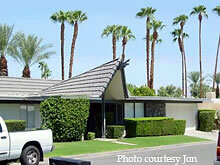 See this type of architecture here at Roadside Peek's Mid Century Modern California Desert. 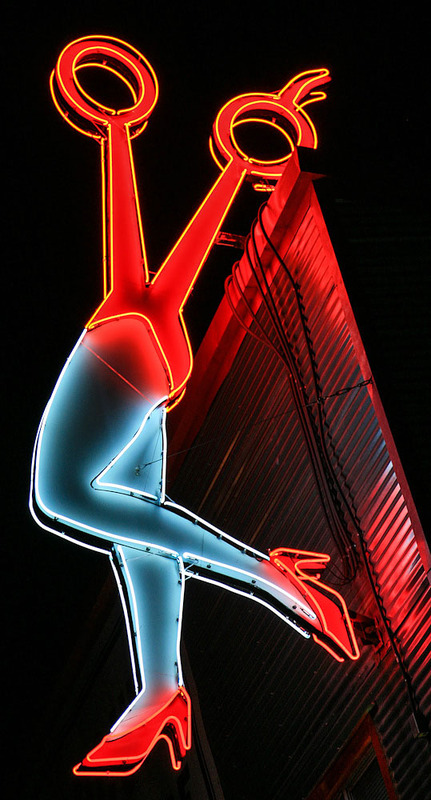 Palm Springs is also home to tiki places and joints. See them at Roadside Peek's Roadside Tiki California Desert.